while his wife visits the doctor. who knew me as friend and protégé. 2015 National Federation of State Poetry Societies Annual Competition. 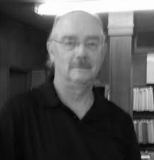 Michael began writing poetry for publication in August of 2013, after retiring from a 48-year-career in the printing industry. Early in life his mother said, You have a gift for words; you should do something with that gift. He writes poetry, in part, because of his mother's encouraging words. Michael also writes poetry because he believes poetry brings people together and that poets are menders of broken things. Michael has published one chapbook, Light Comes Softly, which is available as a free download on iTunes. Yes. You caught it, perfectly. Remembering my dad's bout with Alzheimers, before it was even called that. Yes. Affirming comment from Larry S. A true treasure of compassionate awareness. Thank you, Michael. a poem of love and compassion. Thank you, Michael. Jean Colonomos: Thanks for this tender, wrenching poem. Poignant poem. Jayne, I wonder what positive developments you are referring to. When I went to the link I got no farther than "Alzheimerâ€™s disease is the sixth-leading cause of death in the United States and the only cause of death among the top 10 in the United States that cannot be prevented, cured or even slowed." Mike tells it like it is with much tenderness & feeling. It's a heart-breaking disease for everyone, including my sister. Excellent work. It is among the best I've seen on YDP. Good poetry says much with few words. I sit...I sit...I remember...I wrap him warm....This is what we do, what we give, and it is enough. Beautiful. A lovely poem Michael. My lovely Daughter-in-law recently died - far too young. Such a distressing condition. Her children suffered too. Thank you for such an understanding portrayal. Poignant! sad, my mother had Alzheimer's. Beautiful poem, devastating illness.